Why Emailmanager? Because it delivers! Easy, fast and measurable email marketing! 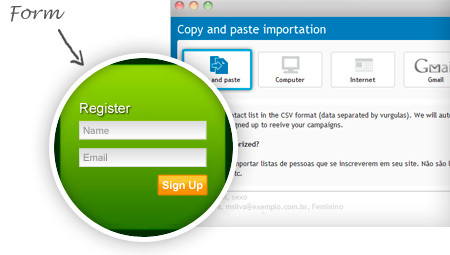 using registration forms integrated into your site. If you already have one, you can import it from your computer, Internet or Gmail e Yahoo!. 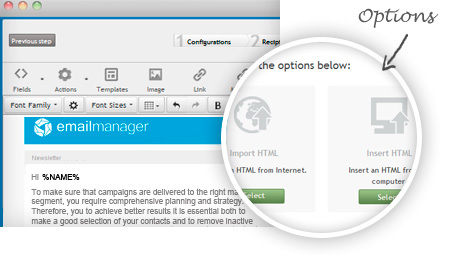 Create or import your campaign via an HTML editor. If it is your first campaign you can use our free templates! Use filters to segment your contact list and send customized content to different types of your contact. We have the ideal marketing plan for your needs! 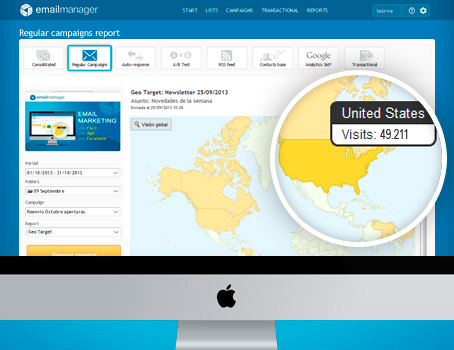 Send your campaign without email limits! Reach further with your campaign! 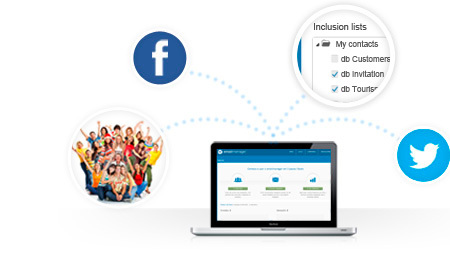 Be visible and improve the results by sharing your campaigns on popular social networks such as:Facebook and Twitter. 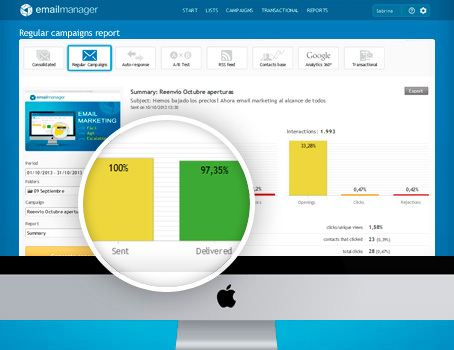 Follow the success of your campaigns in real time with our advanced report system, and plan your next email marketing strategies efficiently. 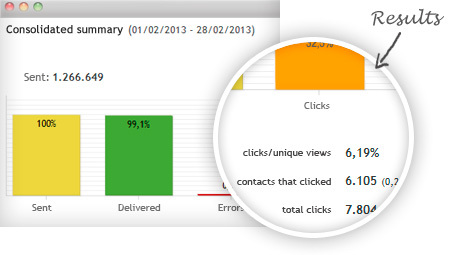 Get real results with email marketing! 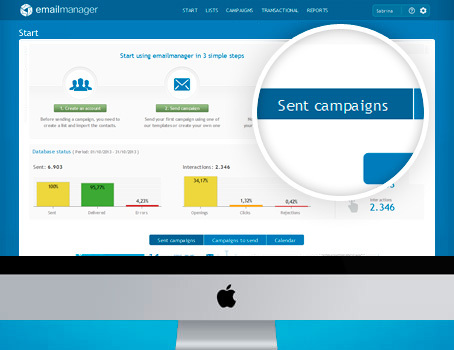 Emailmanager is a first class email marketing system.